Is the report into claims of abuse in Wallasey Labour Party worth the time taken to write it? It seems a confidential report on a Labour Party investigation into allegations of abuse and intimidation against MP Angela Eagle and her staff by members of Wallasey Constituency Labour Party has been leaked to the press, after it was used to persuade Labour’s National Executive Committee to support the claims. But does it stand up to scrutiny? One of the main claims was that Ms Eagle was subjected to homophobic abuse at a meeting of Wallasey CLP on June 24 this year. The confidential report on the investigation into Wallasey Constituency Labour Party says: “The investigation has found that some members have truthfully claimed that homophobic instances occurred during the AGM. Others truthfully said that they were not aware of those instances. It seems unlikely that Ms Eagle would have actually faced homophobic abuse if the alleged comments could only be heard by a certain number of people, while many others truthfully told Labour’s inquiry they never heard any such words at all. While it is not acceptable that Labour members utter homophobic words – or any that single out a member of a particular group for abuse – the claim was that Ms Eagle was subjected to abuse by Labour members, and this is demonstrably false. There is a connected claim that Ms Eagle received “hundreds of ‘abusive, homophobic and frightening’ messages from party members.” Considering the size of Wallasey CLP, this suggests that every member – or as near as makes no odds – sent abuse to her. Does this seem even remotely likely? Has anybody checked whether the messages came from Wallasey Labour members – or indeed, from Labour members at all? It is entirely possible that one or two members behaved in this way – but the numbers described in the report? No. 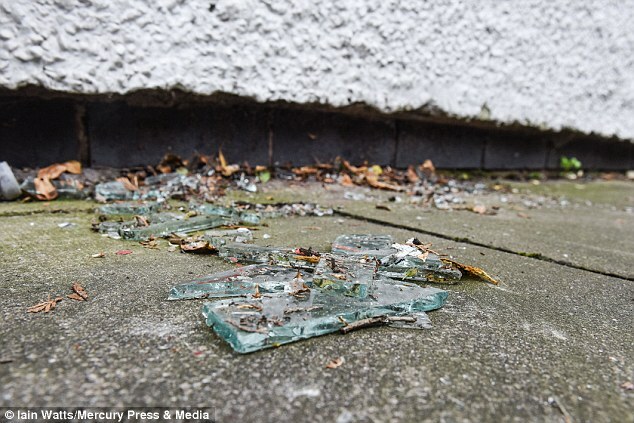 The report said: “It’s highly likely that the brick thrown through the window of Angela Eagle’s office was related to her leadership challenge. The position of the window made it very unlikely that this was a random passer-by.” It said that claims it could have been targeting another company and Ms Eagle was “lying” about being targeted are “categorically untrue”. 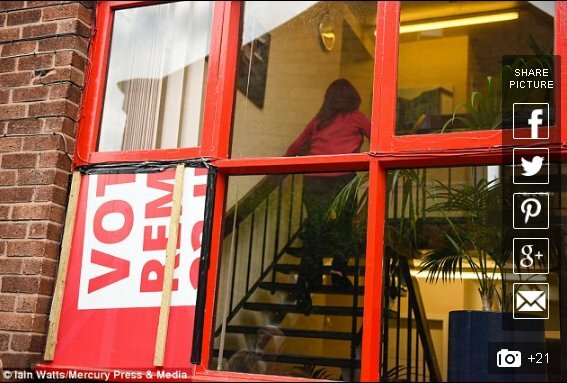 The fact: The broken window that Ms Eagle claimed belonged to her office in fact lights a communal stairwell at Sherwood House, Wallasey. It is very clear that the brick (or whatever projectile was used; it was never recovered) certainly did not go through a window in Angela Eagle’s office. Meanwhile, police concluded an investigation into the incident without identifying any suspect or motive for the crime. They say there is not enough evidence – so why is Labour’s NEC so keen to point the finger? And, if a brick was thrown into the building, why was so much broken glass found on the ground outside? Put it all together and this report is impossible to take seriously. You’d have to be stupid to accept the allegations in the report rather than the visual evidence. And what does that suggest about all the other claims in this document? The man you mention was not a Labour member, as far as I can recall. It was clarified. As I understood it from a report in The New Statesman, Ms Eagle did not attend the meeting where she was allegedly homophobically abused. http://www.newstatesman.com/politics/staggers/2016/07/homophobic-slurs-against-angela-eagle-wallasey-ive-only-experienced No one at the NEC appears to have taken any notice of this. Why is that? You are correct; I mention as much in the article. Your question is also well asked. I do not know the answer. Does anybody? Darren Williams, are you reading this? On the basis of this and how it appears to be a political stunt then she was rightly quickly removed from the leadership candidates list. There are enough incidents to stretching the truth in todays political climate. Feels like we are shifting to the USA way of media politics not helped by the media not checking the facts instead of just accepting what is shoved under their noses..
Google “Eagle Brick” and follow the first link of 9.9 million for even more evidence, should you need it, that the reading, watching and listening public are being played for fools.